Preparation time: 20 minutes required for boiling chole and grinding of ingredients. 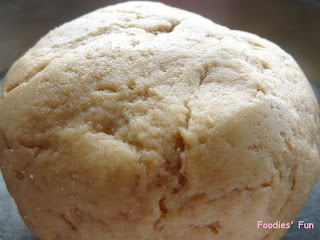 Add 10 minutes to make dough. Soak white chick peas in water overnight. 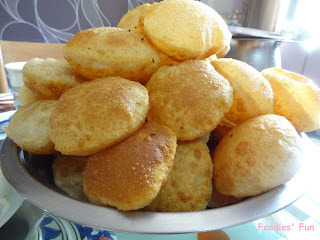 This says chole puri requires planning in advance not on the spot. 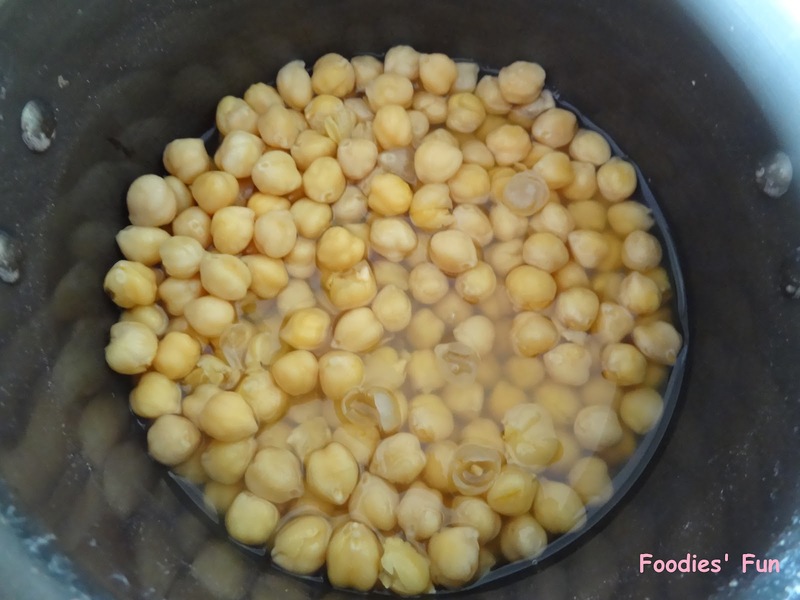 Next day, pressure cook chick peas for 8-10 whistles with salt. 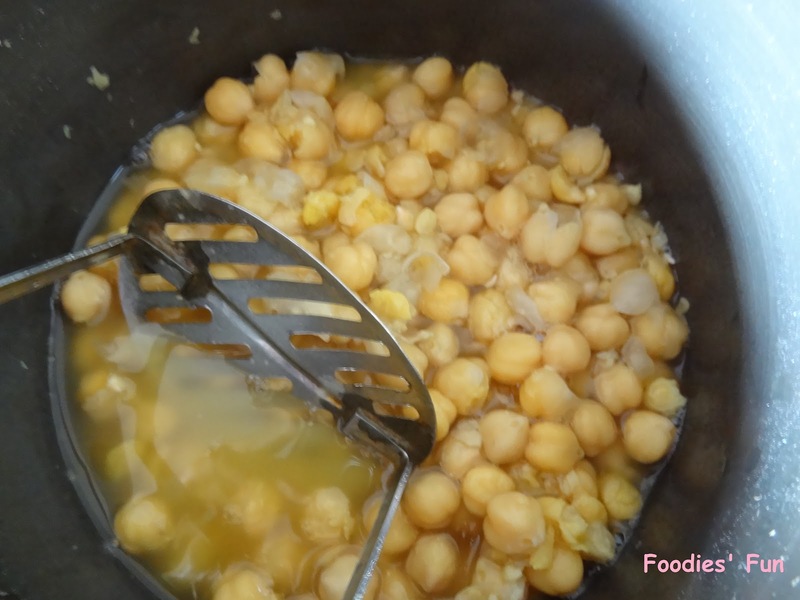 Let it cool and mash only half portion of chole. Keep it aside. (Foodies’ Note: This will give uniformity to chole and the masala will be mixed properly giving it yummy flavour). Let’s make the dough in a wide bowl. In the wheat flour, put a little ghee and then keep on adding water little by little till the dough becomes soft and pliable. Divide it into equal portions and make rounds. Keep them aside. 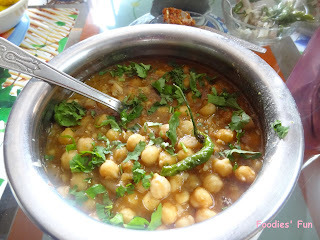 Also we will do preparation required to cook tempting chole. 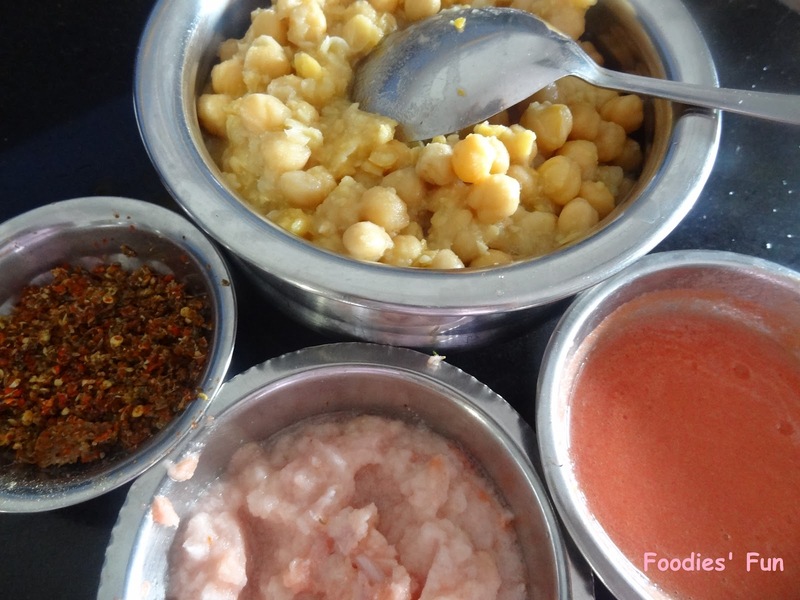 As it is said India is a land of spices, this can be very rightly seen while cooking chole. 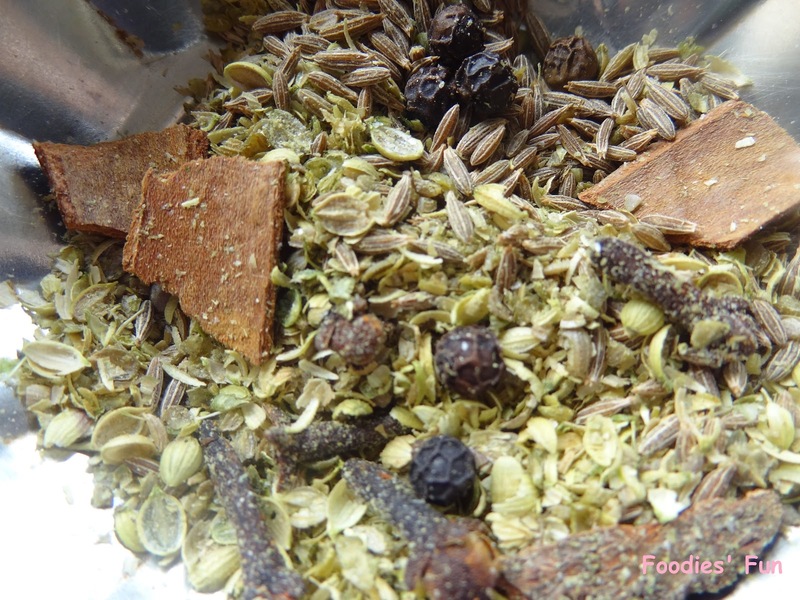 In a grinder, put all the spices- pepper seeds, cinnamon bark, cloves, cumin seeds, red chillies, aamchur powder, coriander seeds & curry leaves. Grind them to get coarse masala. 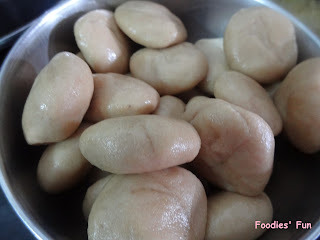 Also make tomato puree, grind ginger and garlic to form fine paste and grind onions in a blender. 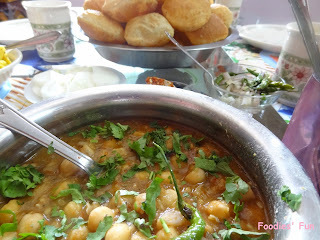 I grinded most of the ingredients so as to get a nice uniform taste and colour in chole. 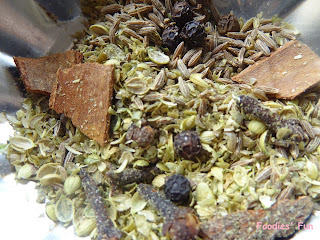 In a kadai, take oil. 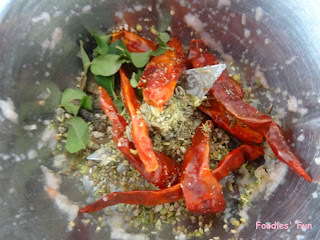 As it heats up, put spices powder. Sauté it for about 3 minutes. 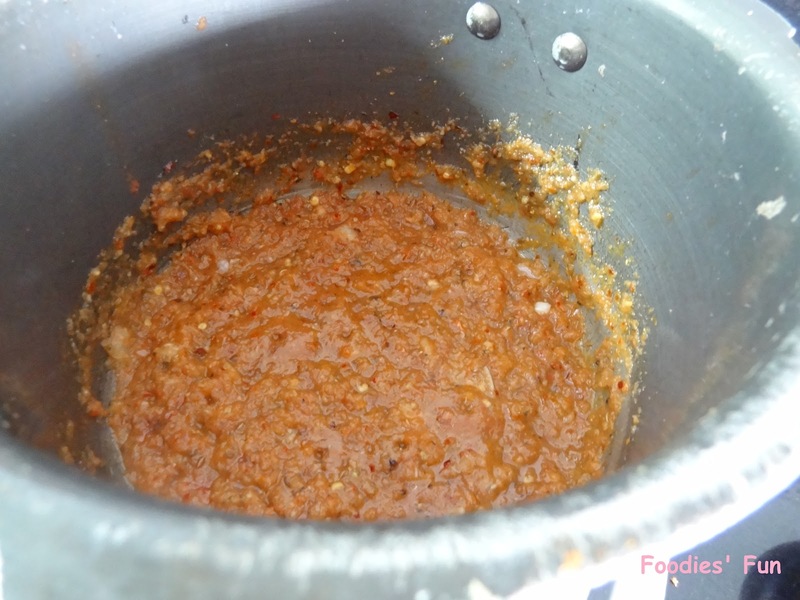 Add garlic-ginger paste and onion-tomato puree. Sauté it for next 3 minutes. As your kitchen fills up with desi aroma and the gravy gets brown in colour add chole to it. Season generously and let it cook for 7-10 minutes.